I’ll be honest; you don’t NEED to pay £3k+ for a website. There are companies who will be happy charging £300 to knock up a cheap and cheerful website. So why would you pay more? Here is an ACTUAL email I got this week. 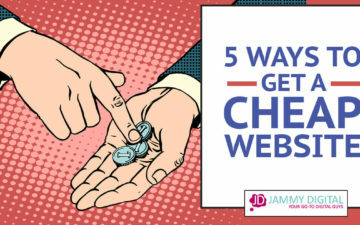 The cost of a “cheap” website may seem more appealing, to begin with, until you realise that it doesn’t deliver customers. 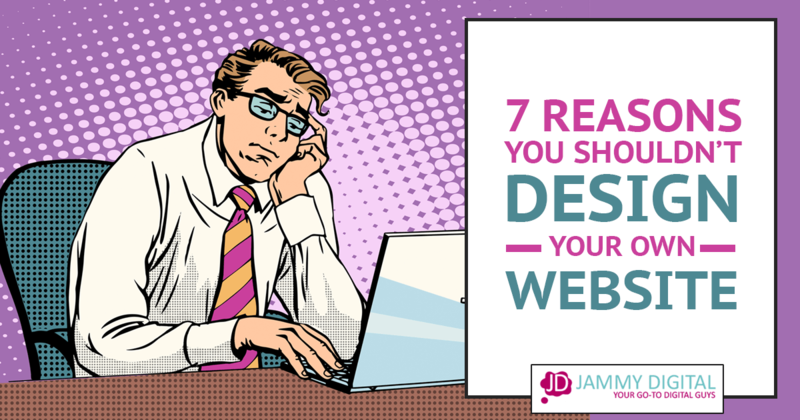 Then you’ll have to waste more time and spend more money getting your site redesigned. For more information on what makes a good website read this post and take the test. 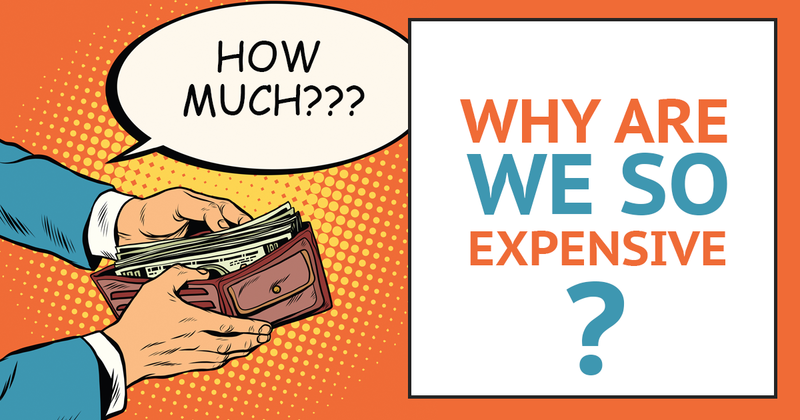 Why do we charge more than other agencies? Over the years, I’ve realised that it’s our PROCESS that makes the biggest difference. The time and focus it takes to build your website is ultimately what will make it successful. We changed our website 6 months ago to a WordPress website by Martin Huntbach at Jammy Digital. 6 Months ago we were 184th on Google. Now we rank 5th on page one of Google. To date, we’ve published 140 blogs, 96% are on page 1 of Google. You might make a mistake or accidentally delete something on your website. But don’t worry. Feel free to drop us an email or give us a call, and we’ll be happy to assist free of charge. If you would like regular support from us, then we can also set up a monthly support package based on your requirements. This could be monthly coaching or a set allocation of time to make changes to your website. Whatever you need, we’ll be there. If your website is going to be successful, you’ll need full access to add, edit and delete things at a moment’s notice. Once we have built your new website, we’ll teach you how to make changes yourself. You’ll have full access to your website dashboard so you can make updates whenever you feel like it. You will get access to a series of training videos where we’ll break down each element of your website and show you how to make changes in seconds. You’ll always have access to these videos as long as you need them and we’ll happily record more if you have questions that aren’t already covered. Other web design companies might not give you access to your website. They may prefer to keep control of your site and charge you to make changes. I see this all the time, and in some instances, it can cost hundreds of pounds to make minor changes. Even if they do give you access, you won’t necessarily know how to use it. Not very helpful. We provide all the best online tools to make your website perfect for your business needs. Your website will come fully equipped with all the best features such as an interactive image gallery, an attractive video library, easy landing page software, social media sharing capabilities and much more. We buy all relevant plugins and set them up, so you don’t have to. Some other web design companies will give you the bare minimum. They will only install free plugins that come with limited functionality. These plugins may slow your website down and cause issues later down the line. Some other agencies will not consider search engine requirements when building your website, and you could end up paying for it later. For more informations on SEO and why you might not be ranking highly in Google, read this article. But it’s worth it. Especially when you read some of the comments, we receive from our clients. Too many times I’ve seen client’s of my own spend a lot of money with me developing a great brand identity to only go and blow it all on a cheap as chips website that does zero for that brand. I’d go as far as to say it tarnishes it and hinders it. Your service offering is brilliant Martin and I personally know some of your clients and what working with you has done for their websites. Good point @colgray:disqus The logo and website need to play nicely with each other. I see it from the other side and clients sometimes forget how important is it to have a strong brand along with their new website. Agree! Top quality is worth paying that bit extra for. From personal experience, I know that you know exactly what works well. Great article, Martin. Thanks so much David. Always great to hear your thoughts. Looks very promising! I agree with everyone that top quality deserves the right to name their price as long as it keeps up with its standards.